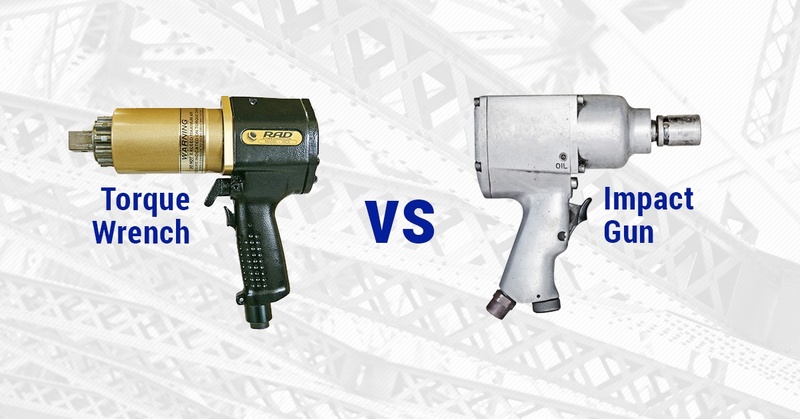 Pneumatic Torque Wrenches vs. Impact Guns: How Are They Different? In this blog post we’re going to look at the benefits of using a pneumatic torque wrench vs. impact guns. It’s a topic we began thinking about recently after meeting with a contractor who needed a tool for bolting steel connections on a large bridge project. This contractor initially rejected our recommendation that they use RAD’s torque-controlled pneumatic torque wrenches, opting instead for an impact gun due to their higher RPM speed. So, we decided to do a test.